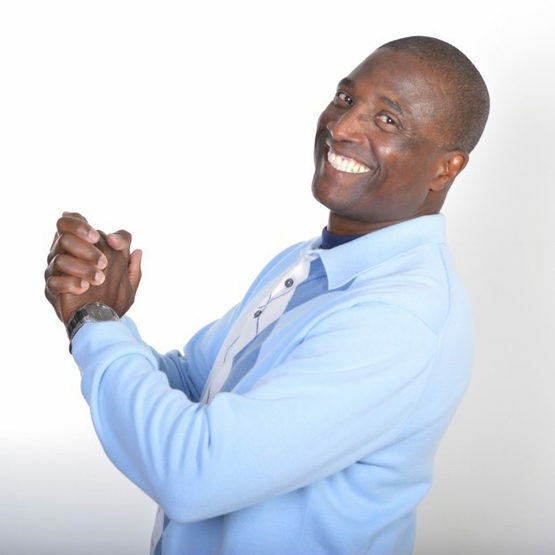 Oliver Kay Blue Jr., Certified Life Coach, Account Executive, and Family Builder is emerging as a passionate speaker, teacher, and coach in the personal and professional development movement that is skyrocketing on the planet. He brings an energetic and transformative message that is timeless, principled, and client-centered. He offers a proven and repeatable coaching system that is helping people around the world to achieve their goals and live their best life. As Co-Creator and Co-Founder of TRULY~OB, LLC., a principled-centered personal and professional coaching business, Oliver and his talented wife, Yaulanda, are developing coaching programs that resonate with the current need for a break with the old paradigms of lack, limitations, and uncertainty. Whether personal or business, Oliver has strategies that are both creative and action-oriented to move you on an upward spiral to greater success. TRULY- The Real U Loves You, is the visionary idea that has become the foundation for building TRULY~OB, LLC. Oliver often refers to the moment he received the divine, inspired idea to design, build, and launch a coaching business that would become an unlimited portal for countless individuals to experience a life they love living. Because of Oliver’s 36 years of corporate experience, 34 years of marriage, 29 years of parenting, and 50+ years of just living life, he brings a wealth of value to the coach-client relationship. In addition, he has spent 9 years in ministry development for community enhancement. The past 16 years he has been the event coordinator for a scholarship fundraising project that has allowed many students to receive a quality education impacting their families and communities. Oliver has enjoyed a full and rich life with many positive experiences. Like most of us he has experienced tragic loss. His choice to move forward from the devastating loss fuels his passion for helping others reach beyond the illusionary limitations that can unexpectedly touch all our lives. The extraordinary story of recovery comes from his awareness of love and forgiveness. His acceptance of his oneness with the Creator was vital. Oliver’s love for full expression of the divine qualities that are intrinsic within the human spirit is expressed by his leadership, excellence, and poise. It is extended by his huge smile and sincere love for all mankind. He has been inspired, mentored and coached by world renown spiritual and transformational leaders including Mack & Brenda Timberlake, Mary Morrissey, Bob Procter, Lisa Nichols, Michael Bernard Beckwith, and Neal Donald Walsh. So, when the time comes for you to say YES to the greatness that is trying to emerge in your life, say YES to living full out, say YES to living the life you love … say YES to being a student of life long growth and understand that the teacher has appeared. Oliver is delighted to work with you. Note: Inspiring Author & Writer of his first book “The Real U Loves You”.